‘The RWD EP’ is a selection of beats produced by my friend and bedroom beat maker ‘Turfa’ way back in 2004 when were in Year 9 and 14 years old. 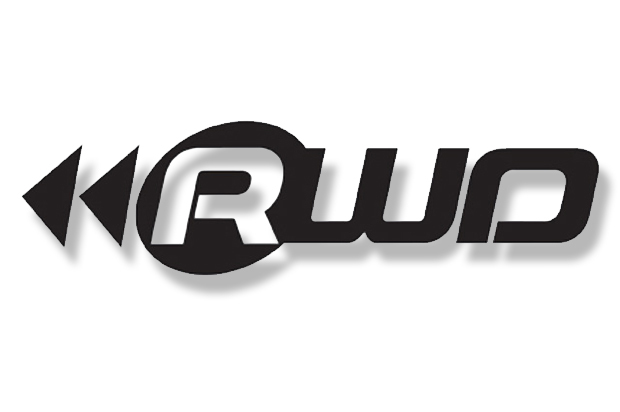 RWD Forum, Pirate Radio, Channel U and Bluetooth circulated the sound in those days. And it was a golden era for me and many others it was a golden era for Grime. Turfa went on to produce the original riddim that lead to a collaborative production with Fusion that created the Channel U classic ‘On The Block’ read the full story via Comple UK here. In those pre-soundcloud days the website ‘Soundclick’ was where like minded producers would upload and share the products of their creativity. And for Turfa this was the home of his catalogue of sublime selections as I – and our peers – remember clearly. 14 years on, I decided that with Grime music being where it is now, and the platforms available today I felt it was necessary to put together this project to highlight not only his talent at such a young age – considering it was 2004 and the non-existence of YouTube tutorials and Google searches mean’t that he taught himself to use FL Studio. But to also spotlight his distinct style as homage to the music he made and the sound of Grime music of that era. The RWD Forum era, with the Skippy, synth driven, melodic, grimey, rough and ready style is and was significantly different to the sound of today. Individuality and a focus on rhythm and melody was the driving influence on all producers. No one was trying to make a tune for the clubs. So mixdowns and mastering took a back seat. Making a beat that had swagger and steez took precedent. Which is what made it and the music Tufra made so special. And like many other producers who were a part of the online RWD community, Turfa played a role, put his piece in the puzzle and pushed the creative direction of the scene in defining and championing the sound gave Grime another dimension and a more musical quality. At the time the beats were nang. But now, the beats have a higher level of appeal, because not only do they sonically represent the era, they have a quality of muscianship that can’t be mistaken when listened to retrospectively. That’s what informed this EP and inspired me to get a selection of his old productions and present them for a generation who remembers the those days and for a new generation who may not familiar. That was the initial intention, but in completing the project it became clear that, although these tracks are old. In some regards they were ahead of their time. And because of that, can be appreciated for what they are; great Grime instrumentals and had they’ve been made today, would stand up against the contemporary sound. This “Time Capsule” EP includes old skool vocals and classic bars from Kano, D Double E, Tinchy Stryder, Riko Dan, AJ Tracey and Flirta D that I sourced that rigorously sourced through the internet to showcase the music in a way that would affirm the quality and enhance the listening experience by creating songs that – if they were released at the time – may have gained the notoriety I believe they deserved. But, in some ways, to have them as they are today, possibly achieves the same goal with am additional nostalgic quality that gives them a deeper level of appeal, significance and greatness. They’re not polished and pristine; they weren’t meant to be. As Jammer put it in conversation on the #HALFCAST podcast “I don’t think Grime instrumentals are the same anymore… the beauty in the unfinishedness…” Rough and ready with the beautiful imperfections of the old skool era the beats came from. There’s nothing wrong with mixing and mastering. But when music can resonate in spite of it generates a nuance that enhances it’s distinct appeal. On top of the 5 bootleg vocals, there’s also a couple original freestyles from 2004 by virtually unknown MC’s who were also popular in the forum at the time that are also reminiscent of the time and have – on the part of the MC’s – really exemplify what Grime is and how it’s done. You can check out a couple of the vocal mashups below and download the full Free EP HERE.